True elegance doesn’t speak through words. It’s not something that you can explain or convince yourself into believing. It’s a simple fact that when you see it, you know. True elegance is a character oak boardroom table from Mac+Wood. Eternally stylish, perfectly poised and exquisitely crafted by hours of intense, passionate labour, it is the solid centrepiece that every work or business environment needs. For thousands of years, this beautiful hardwood has been a favourite material of expert craftsmen and carpenters around the world. A timeless, hardwearing wood, character oak immediately fills any interior space with a sense of understated refinement, making it the ideal material for your dynamic boardroom. Paired with beautiful polished or powder-coated steel frames, this wood is transformed into a versatile piece that blends perfectly with contemporary or country-style interiors. The rustic warmth conveyed by the wood through its variations and thick, ancient grains is coupled with the venerable yet versatile nature of oak. 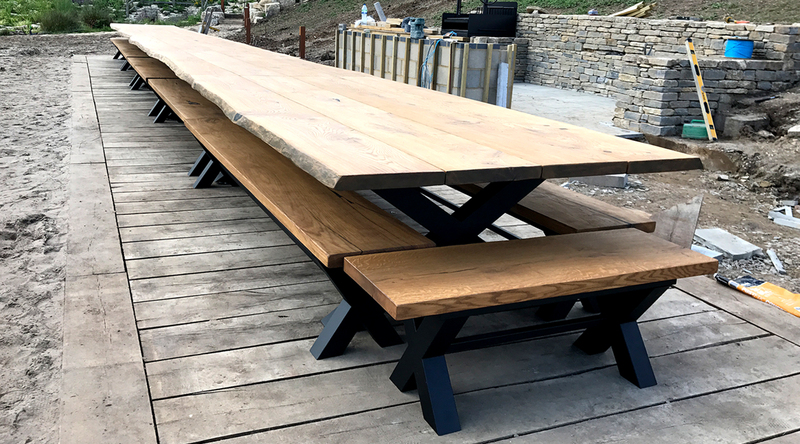 In addition to this, oak is non-toxic hardwood with a high tannin content, which means that it defends itself from bugs, fungi and bacteria, ensuring that this table will last for generations and thrive for as long as your business. Are you chairing key meetings where the most important decisions of your organisation will be made? Are you interviewing a new candidate and want to show the ideology of your company? Perhaps you are leading a conference with elite clients and need to clinch that epic deal. At Mac+Wood, every table is made for these situations. Direct your company, expand your business, keep it growing day after day and you’ll never feel adrift or insecure once a character oak boardroom table has taken root at the heart of your company. 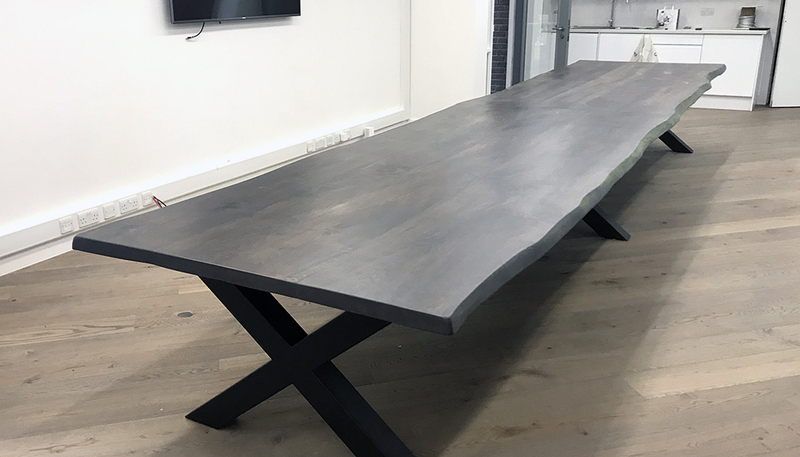 Here at Mac+Wood, we know that your character oak boardroom table will become the centrepiece of the work environment, expressing the philosophy of your business without words, and we are dedicated to capturing your style and vision, transforming it into reality.